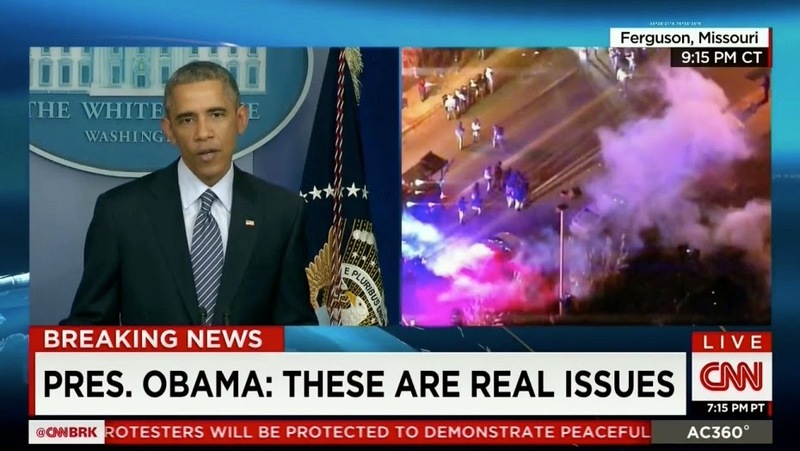 The Backwoods Engineer: Officer Wilson NOT Indicted... Enjoy Those "Gun-Free Zones" Tonight! 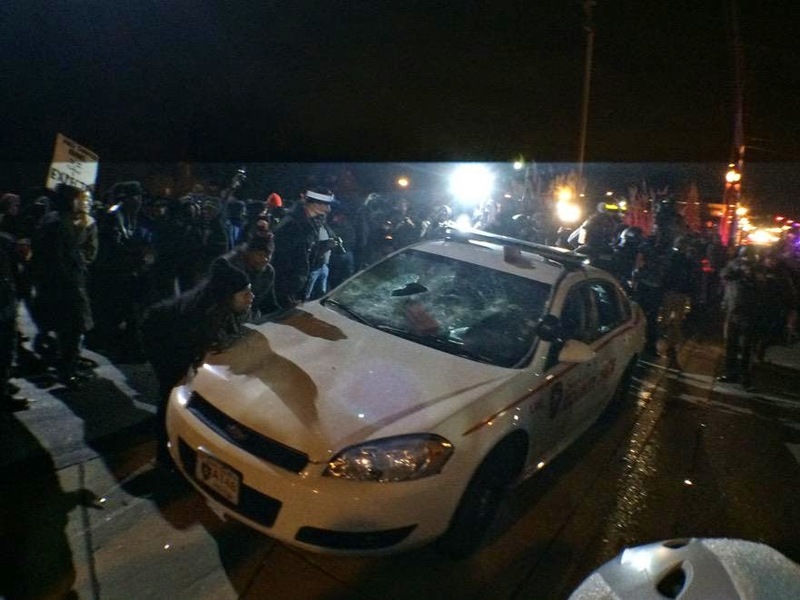 Officer Wilson NOT Indicted... Enjoy Those "Gun-Free Zones" Tonight! It's "gettin' real" in St. Louis, LA, NYC, Chicago, Detroit, Memphis, Birmingham, Orlando, and all those other victim-targeting zones. An innocent man who defended his life with lethal force against a young thug is being freed, and the race-baiters are not happy. 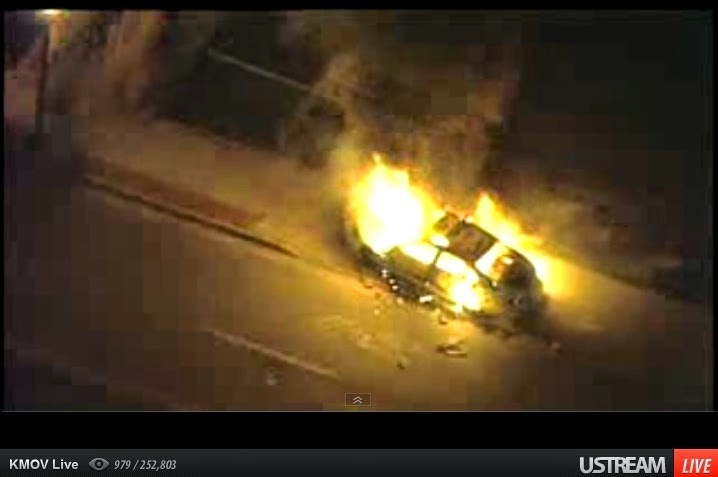 Shots already fired in Ferguson, as of 9:11 PM Central. Cop cars being overturned! It's burning! Shots fired! Gee, don't you think the feckless residents of those Democrat cities wish they had bought a gun and gotten training now? This is not inAfrica, or Paris, or England, though you couldn't tell it by the above. This is St. Louis, people. Did you ever think this would happen in AMERICA? Emperor Obama the 1st speaks, and unwittingly becomes part of the scene, actually looking like he caused it (picture from Free Republic). Well, didn't he at least help whip it up? Those Democrat cities chose their path long ago: citizen disarmament, giving in to mob rule, buying the votes of useless eaters. And now, their chickens are coming home to roost, right Reverend Wright? And now, we have a Democrat State Senator in Missouri who said "This is our race war!" You do NOT want this, woman. You have no idea what you are unleashing. My community won't be affected at all. Know why? Because the parasitic rioters roused by the Communist front groups don't dare come out here where they know a significant percentage of us are armed, and we WILL fight back with lethal force if they try to block our highways, or surround our cars and rock them. They don't dare.